I’m a professional musician (yes, that’s hard), recorder player (that’s even harder) & teacher (well, I do my best). I’m one of a small group of Early Music performers fully focused on improvisation, and that’s why —I guess— I’ve been called a rara avis within this field. → See a formal CV here. Born to play music in front of an audience. Listener. No ordinary recorder player. Recording artist. Ex mente contrapuntist. Insatiable block riser. I don’t conceive music as a what, but as a how. I can break madrigals without destroying them. I’m a perfectionist who loves imperfection. I have a rare love for the recorder. I don’t play what I read, I play what I hear. I’m currently on a mission to bring back to life some of the improvisational skills that ancient music performers once had in front of today’s audiences. I do things the long, hard, stupid way. I listen for a living. I love misatkes. I’m probably thinking about music right this very minute. Don’t try this at home. Vicente Parrilla has so consumed the model books that he can now speak their musical language with confidence and freedom and create truly modern performances. Parrilla should be considered among the most expressive and technically proficient modern recorder players. I began my concert career at a very early age, making my debut CD —a record entirely devoted to Spanish 17th century composer B. de Selma y Salaverde— at the age of 20. In addition to leading my quartet, More Hispano and a number of other projects, I have collaborated with a wide selection of groups and musicians with different backgrounds: jazz pianist Enrico Pieranunzi; jazz bassists Barry Guy & Pablo Martín Caminero; flamenco artists Rocío Márquez, Patricia Guerrero, María José Pérez, Arcángel & Miguel Ángel Cortés; and early music ensembles such as Euskal Barrokensemble, Accademia del Piacere, The Royal Wind Music Consort, Speculum, Artefactum, Orphenica Lyra, Capella de Ministrers, El Paraíso Perdido, Seville’s Baroque Orchestra (with whom I’ve performed as a soloist) and Madrid’s Symphonic orchestra. I have also performed in a number of festivals and prominent concert halls in Spain, Ireland, England, Austria, The Netherlands, France, Belgium, The Czech Republic, Poland, Portugal, Switzerland, Germany, Slovenia, Croatia, Brazil & Mexico. I studied the recorder at Seville’s conservatory with Guillermo Peñalver. When I was only 17, I moved to The Netherlands in order to further my studies, initially with Jeanette van Wingerden at the The Hague’s Koniklijk Conservatorium, and later with Walter van Hauwe at the Conservatorium van Amsterdam, graduating in 2001. I completed my studies with Pedro Memelsdorff at Esmuc in Barcelona, besides attending a good number of courses with Aldo Abreu. I’ve taught the recorder at several masterclasses held at conservatories in Madrid, Zaragoza, Cuenca, Esbjerg (Dk) and Faro (Pt), as well as during the XIII, XIV y XV Muestra de Música Antigua Castillo de Aracena (Huelva). Since 2004 I have been regularly teaching Recorder, Ornamentation and Improvisation for Period Instruments at Seville’s Conservatorio Superior de Música. Being able to practice and perform on finely handcrafted recorders has been a continual source of learning and inspiration for me. All my instruments have been made by world-renowned recorder makers Fred Morgan (carefully revised by Nikolaj Ronimus), Bob Marvin, Monika Musch and Ernst Meyer. 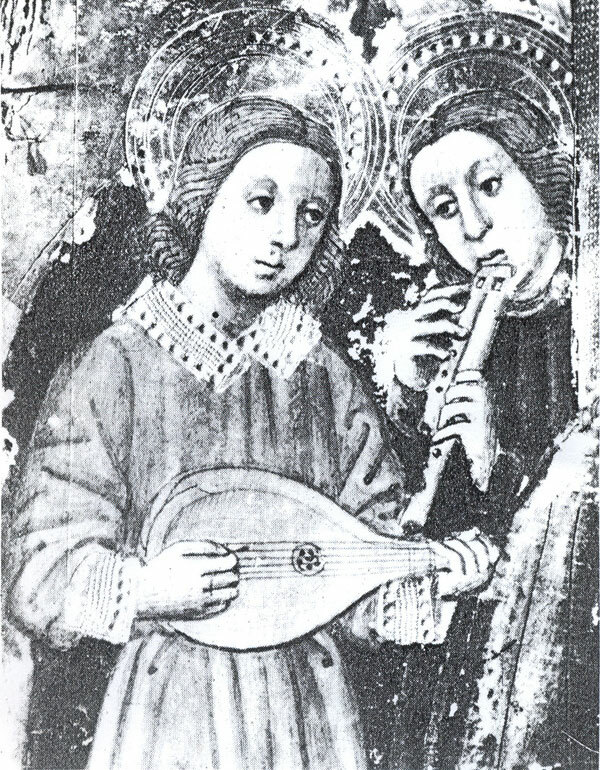 In order to study the recorder repertoire from as many different historical periods as possible, my collection includes cylindrical recorders, a full Renaissance consort (4’ + 8’), a flauto doppio, “Ganassi-type” instruments, early Baroque models after Van Eyck and Bassano, Baroque recorders after Bressan, Denner, Stanesby, Debey & Bizey, and a modern tenor for contemporary music. I’ve recorded three CDs as More Hispano’s leader so far: Canzoni, Fantasie et Correnti (1998); Yr a oydo (2010) & GLOSAS (2011), making guest appearances on a number of recording projects, for labels such as Alia Vox Diversa, Glossa, Carpe Diem, Alqhai & Alqhai, Lindoro and CDM. See my complete discography here.